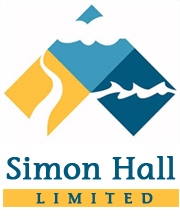 Simon Hall Self Storage offers secure storage units for personal, household and business storage, modern facility with anytime access and latest security. Moving home, renovating, de-cluttering , require somewhere special for your hobby and sports equipment? Our business self storage offers you great opportunities to store additional stock and archive documents. High quality, professional moving boxes and packaging, at the best prices! Experienced Staff and purpose designed removal vans equipped with specialist handling equipment. Only rent the space you need. Use our size estimator to calculate the approximate storage space you require.